Recently folks form The Garden’s neighborhood had a very special outing. 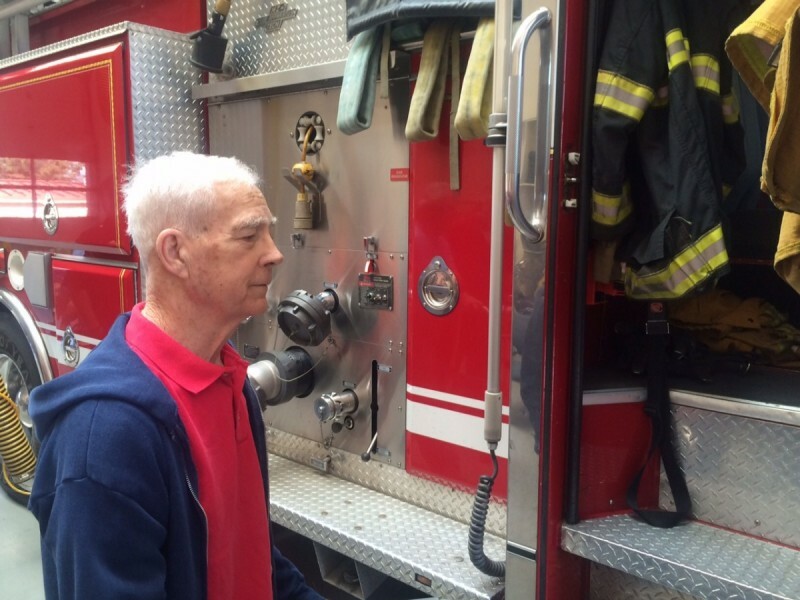 One of our favorite residents, Mr. Chuck Mack, is a retired Firefighter and loves to reminisce about his old working days. 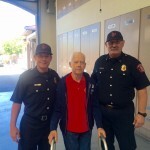 He was reunited with fellow firefighters George Derby who worked with Chuck from 1984 to 1993 and Ben Plake who worked with Chuck from 1986 to 1993. 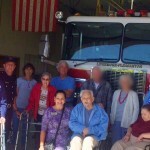 Both Rosewood Gardens’ residents and their family members enjoyed the fire station tour! Everyone had a wonderful time touring the station and meeting all of our local fire fighters. 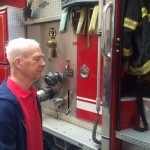 As luck would have it, they were all there relaxing (as much as fire fighters can relax) when the group arrived, and they were able to have a nice visit. 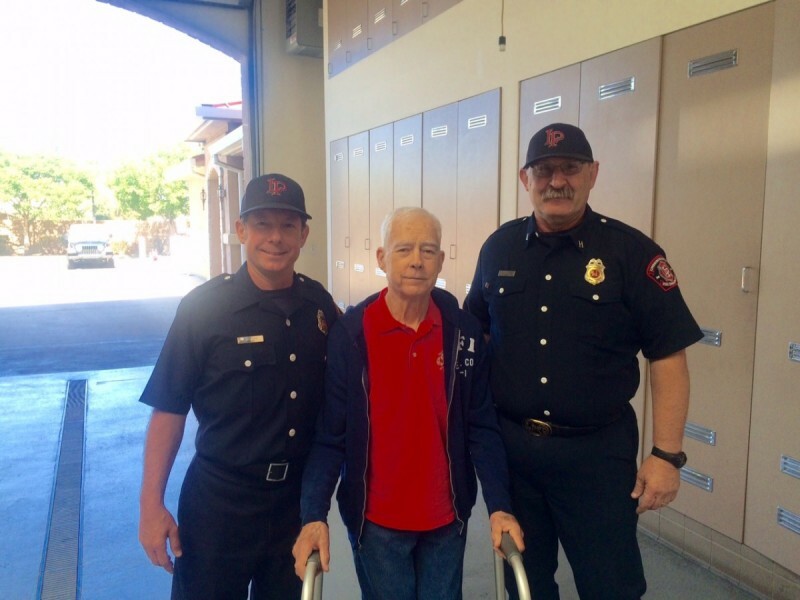 However, just before the group was ready to say goodbye, the fire alarm rang and the brave firefighters jumped into action and off they went to perform their everyday heroic duties. Our group was so honored to be able to witness them in action!